I get a lot of questions about our bath and body regimens. For years our family has not used things with synthetic preservatives, artificial colors, fluoride, and artificial sweeteners. Avoiding these things was really challenging in the years past. We had to make a lot of our own goods. Though some of our homemade products were great, others fell short of our expectations. I need to first begin with a disclaimer: I am not a medical doctor, dentist, or dermatologist. This is what my family does and believes in based off our own research in conjunction with medical advice we have received over the years. After struggling with a puzzling family rashes, we found out through many expensive and frustrating dermatologist appointments that we were very allergic to a synthetic preservative called Methylisothiazolinone. While working to eliminate this nasty allergen, I found that it was in most of our beauty and care products! It's a common preservative used in moist and liquid items. I found it in lotions, shampoos, body wash, hand soap, moisturizer, baby wipes, laundry detergent, dish soap, and more! For about 6 months, I washed my hair and body with Dr. Bronner's liquid castile soap. San Diego's notoriously hard water made this challenging. The reaction of castile and the minerals in our water reacted poorly and it usually just felt like I was rubbing nasty residue in my hair--which I was. After this, I began using baking soda and apple cider vinegar for rinse. This seemed to be a better solution but within a few months, I noticed that my long hair had an increase of split ends, breakage, and general dryness. This was not the solution that I was looking for. Another experiment was in dental hygiene and care. I'm a big believer in the many benefits of coconut oil, but spitting it down the drain will clog it pretty quickly. I don't know about you, but I can't afford to redo my piping on a regular basis and it's really difficult to properly clean out. I would spit my coconut oil paste into the trash, but it was very unnatural and a huge hassle--plus, I don't like needing to use plastic liners in my bathroom waste bins. Though I do recommend using coconut oil for dental care on occasion, I don't think it's the best solution for daily use. Over time I found beauty solutions that carried me over until more organic products could be found in-store and online. I love Everyone brand products. They are free from synthetic materials and use essential oils for scents. They also offer unscented versions of their products. Their washes are good for the entire body--face and hair as well--and are very gentle. We use these products on our babies, kids, and ourselves. For lotions, I use the facial moisturizers for our entire bodies. The moisturizer is thicker and richer than the standard lotion and I really need that extra hydration. My skin is naturally very dry. My kids do well with the lotion, so I buy both since the moisturizer is a little more expensive. My hair is also on the dryer end, so I use the conditioner as a leave-in product, though it's meant to be washed out. It doesn't leave my hair greasy and does not leave residue. I also really like this leave in conditioner. It works well for all of the different hair types in our family. My husband and I also really like Avalon Organics hair products. He currently uses this pomade. It's not organic, but the ingredients are pretty clean and it has a great hold. They are great products and the tea tree shampoo is wonderful for those with occasional and chronic dandruff. My husband sports facial hair and always gets compliments on the beauty of his beard. This is what he uses to keep it tame, hydrated, and supple. Here is that beautiful comb pictured below. For deodorant, an easy DIY solution is mixing baking soda and coconut oil into a paste and just rubbing it on. Wipe off any excess with a issue paper. This solution is totally effective! The only issues were that the oil (if not totally absorbed into the skin) will get absorbed by clothing and that the solution will liquefy--and separate--during the summer. This was an issue for me. We now use this deodorant. It is aluminum and synthetic material free. It smells great and works really well! Remember that aluminum is an anti-antiperspirant, so you need to expect that you will still sweat without it (our bodies need to sweat to expel and eliminate toxins!). This will keep that sweat from smelling and creating body odor. We cut fluoride and SLS out of our dental care years ago. My husband suffered from chronic canker sores for most of his life from an SLS allergy and synthetic fluoride has a LOT of negative health effects, so finding dental products without either was a challenge. In addition to this, conventional brands use artificial sweeteners and colors to their products. Yuck! We now use organic food-grade peroxide as our primary product. Just squirt some right into your mouth, swish it around and then brush your teeth. It immediately foams up, disinfects, kills odor causing bacteria, whitens teeth, and feels AMAZING... My husband has never had a dentist appointment without cavities. Since reluctantly switching to this regimen, he had his first cavity free appointments! My younger kids prefer using paste. It's easier for them so I buy them this toothpaste. I personally prefer the taste of the cream version, but they have the opposite preference so I buy them what they like more. We try to keep things pretty simple. Have any questions or recommendations of your own? Just leave a comment below. To see how your current products rate, check out Skin Deep's database and for product ratings. 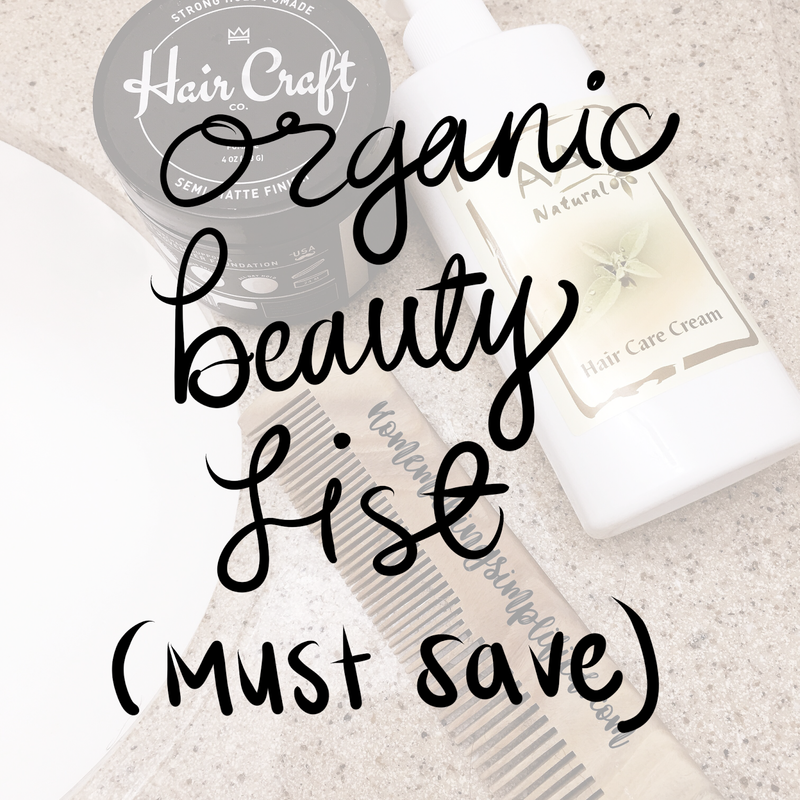 I always try use organic products. My Keller Dentist has suggested me a natural toothpaste for my children. How can i order that?